If you feel like you are a professional Sokker player, subscribe to Plus. Remember that as a subscriber, you get access to many additional options making the game more sophisticated and interesting...and supporting Sokker enables future existence and development. No professional club can exist without its emblem. 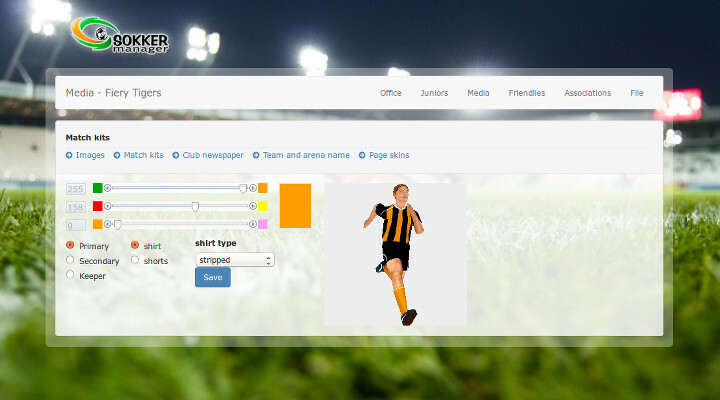 Your club`s emblem would be visible to all guests visiting its page. Guests can leave their comments in the guestbook. Additionally you would be able to publish press releases regarding the latest events in your club zine. At last your players will be able to wear the kits designed by top sport`s clothing manufacturers :). You would be able to design the colours of jerseys and shorts for two kits sets primary and secondary (in case your opponent wears similar kits and they are the home team). 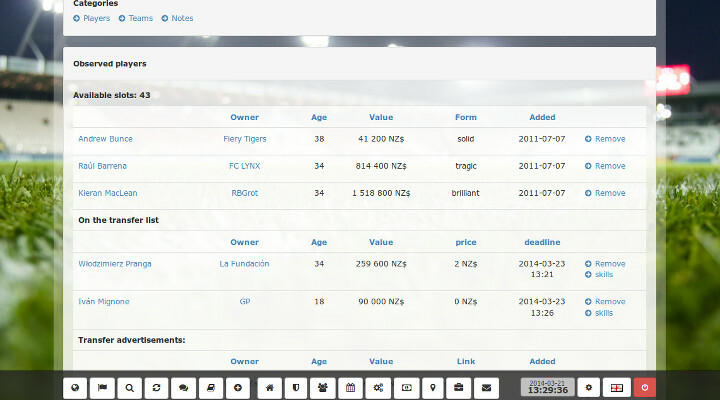 You are able to monitor all changes to each player`s abilities, value and form. 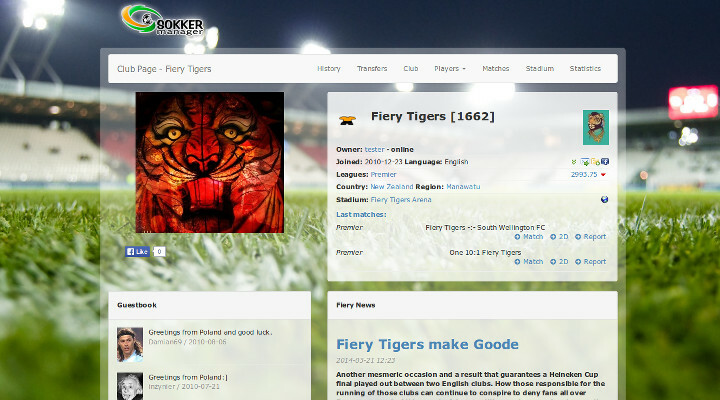 The changes are indicated with green and red colours on the player`s list and separately on the page with description for each individual player. 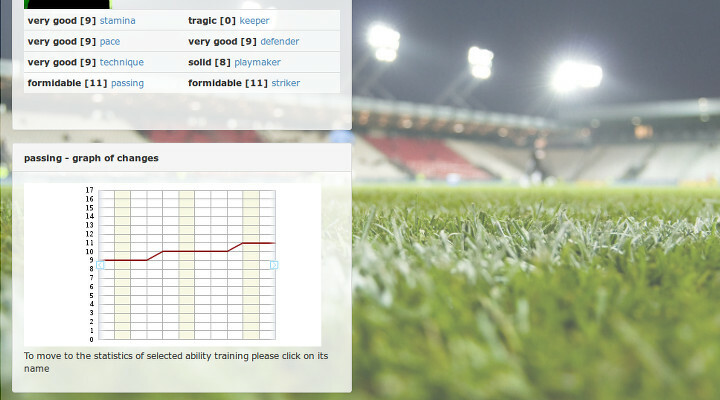 For each player staying in your club over the period of one week you can have displayed a graph with all changes to his abilities, value and form with data up to ten weeks. 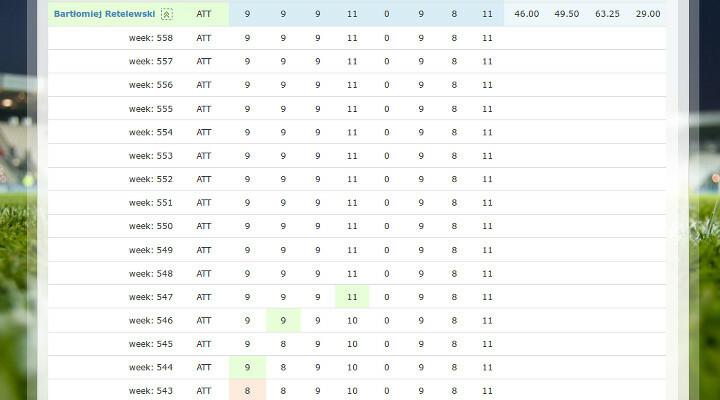 is a list of shortcuts to the players and teams marked by you. 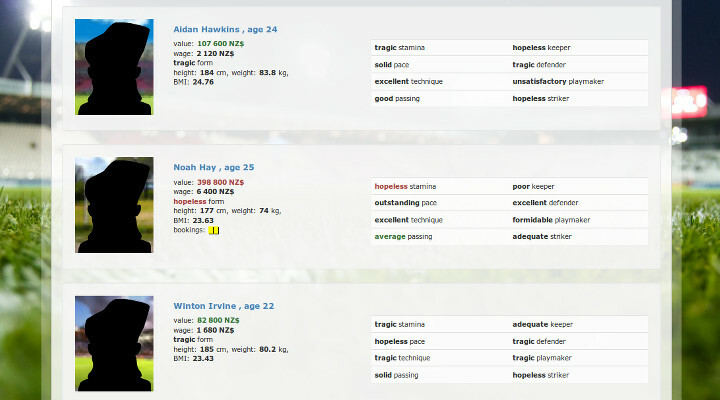 You can add a player that you want to acquire and monitor his match performances and whether he was placed up for sale... Additionally you can add shortcuts to your friends` teams - won`t have to browse the site to find their latest results and transfers. 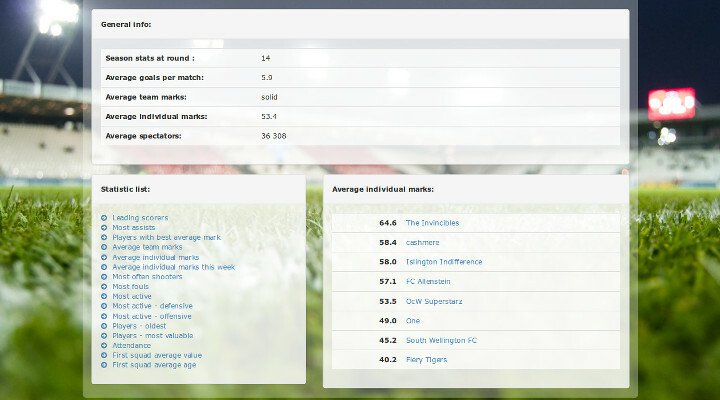 you have an access to various statistics regarding your league and generally the strongest teams within the country such as: players with the best mark average, average team marks, average player marks and many, many more - the number of statistics will grow over time. Unlimited access to all match broadcasts you are interested in. Not applicable to very old matches as they are deleted from the database. You get additional camera angles in the 3D match viewer, which you can use each day using Arcade matches, exclusively for Plus users..
for online payments we use the DotPay service (www.dotpay.pl) or also PayPal (www.paypal.com), both guarantees the security of the transaction, eg. that your credit card number will not be seen by anyone (we do not save, nor see that number). Participants who subscribe to Plus do not get anything more than the benefits above, they do not get better juniors etc. They just get more fun from the game - if you are not a subscriber, you have the same chance to achieve your goals in Sokker, as those with Plus. The subscribers also have to comply with fair play rules. All counts of cheating will be penalised with the team being blocked and no possibility of transferring your plus subscription to another team. If your plus expires, if you buy plus again in the future you will still have all of your old plus data, including guest book posts and training graphs. So do not worry if it happens.